Our private meeting space, named after former 284 Governor, Jack Bess, provides an intimate space for your weddings, baby showers, community meetings, or corporate retreats. The room seats up to 60 people, and can be set up in a number of different ways. The room contains a private bar and catering options are available. For a small wedding space, the Jack Bess Room fits the bill. This room setup was by our very own Andrea – ask about her decorating services when reserving the room. 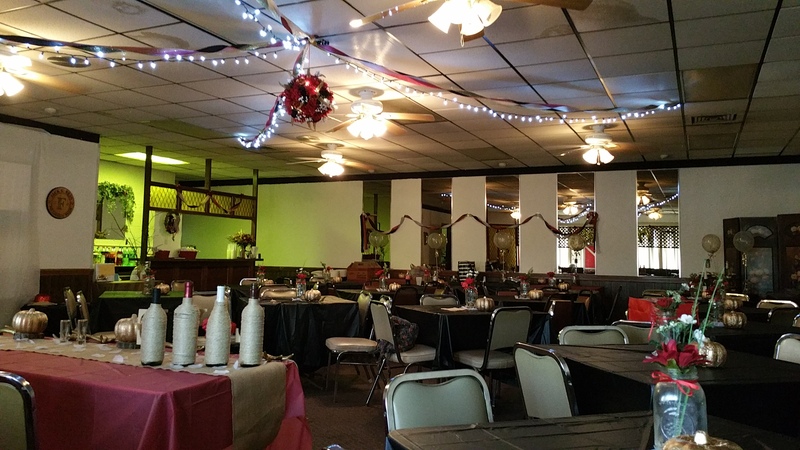 The Jack Bess Room makes for an ideal venue for special dinners for your organization. 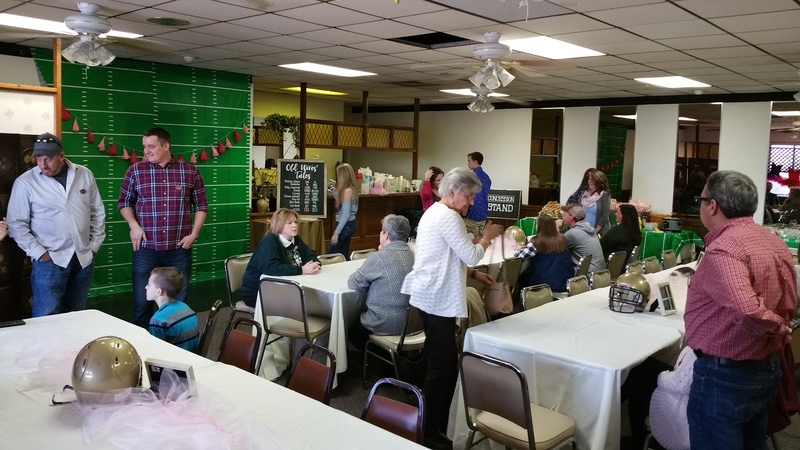 For baby showers and birthday parties, the Jack Bess Room is ideal. You can dress it up however you would like, as these people did in their “tutus or touchdowns” gender reveal baby shower. You can even use the space to dance, as shown by this video, though we recommend you look into the Grand Event Hall for your dance events.